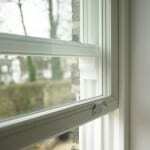 The windows have made a massive difference to the thermal performance of the house. Before we installed the windows, we had all the IWI and other insulation measures in place and the house was still freezing! 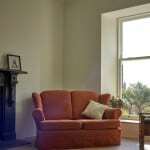 Once the windows were installed and window reveals insulated and finished off, the house was immediately much warmer and more comfortable. 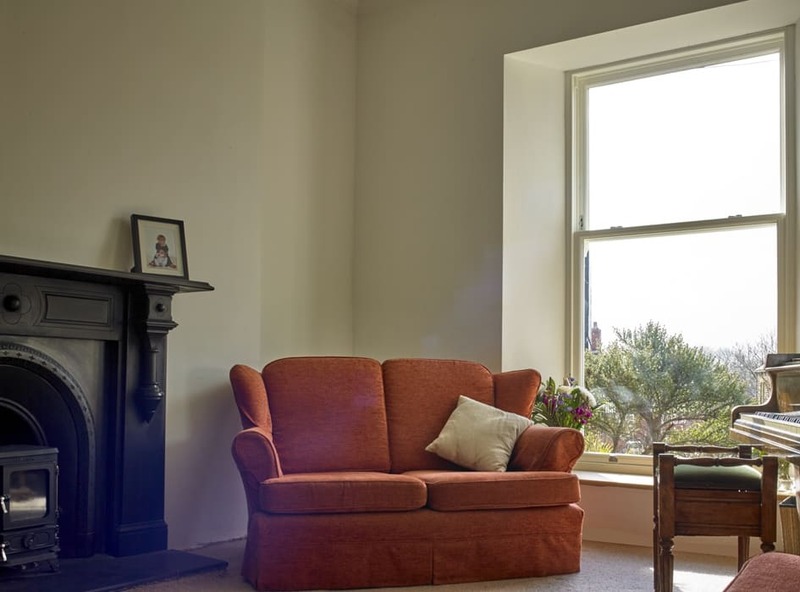 A major benefit of having triple glazed windows is that they don’t get condensation on the inside and the inside pane remains warm to the touch, which also means that you don’t get draughts falling down the glass and into the room. 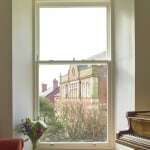 The windows also look amazing and visitors are always commenting on them and assuming that they cost much more than they did. 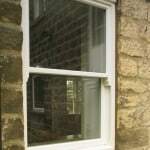 When I say the words ‘triple glazed timber sash windows’ people immediately expect very high costs. 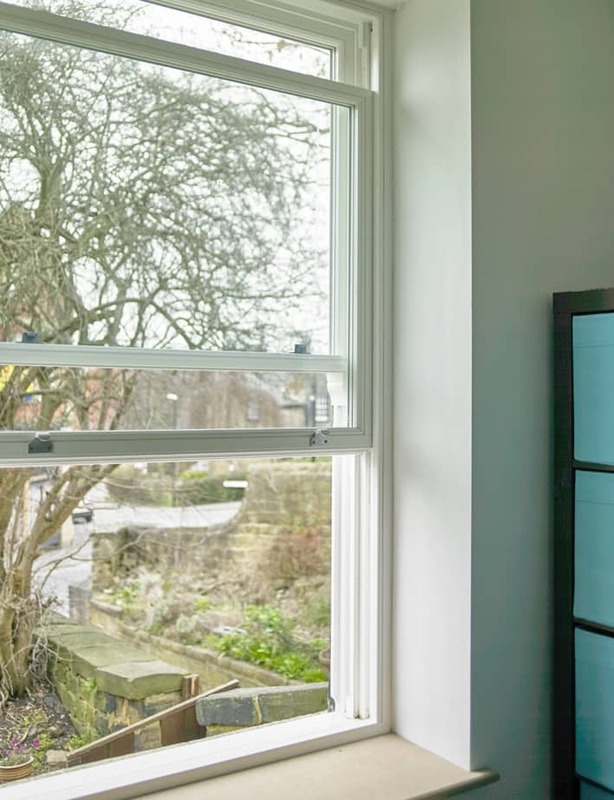 However, when I say that the enormous 2.3 m high and 1.3 m windows in our living room were only around £1,500 (inc VAT) each, people say ‘Really, that’s not bad’. 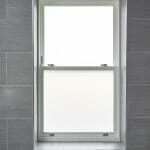 In fact, I know friends who have recently paid a lot more for uPVC double glazed sash look-alike windows. 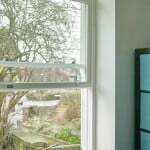 The opening mechanisms on the sliding sash windows work well and, despite their massive size, are very easy to open and close. 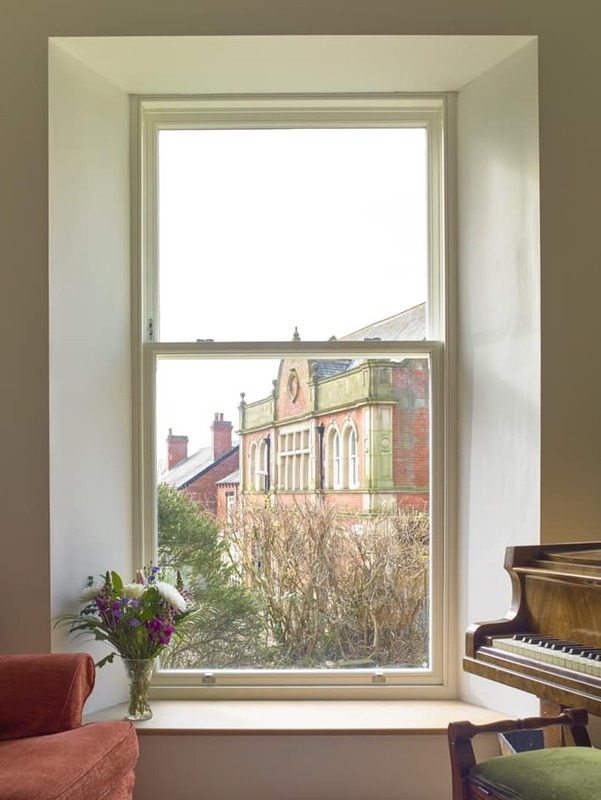 Green Building Store’s fitting team were fantastic and did a great job installing the large sash windows, which weighed 160kg each! 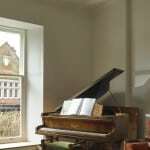 We have noticed a great acoustic improvement since the triple glazed windows were installed. 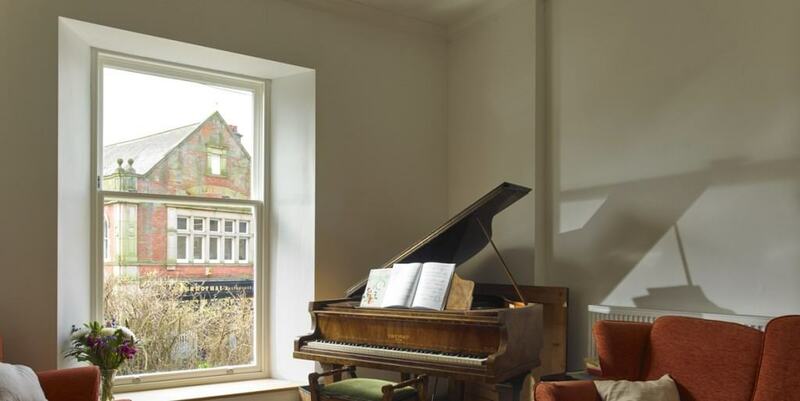 We live near a really busy high street in Leeds but the triple glazing really helps cut out the traffic noise in the house. 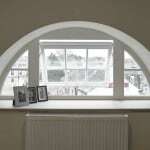 Sustainable building professional Nigel Banks has undertaken a radical retrofit of a 1850s house in Leeds as his family home, using triple glazed sliding sash windows, PERFORMANCE entrance doors and arched windows from Green Building Store. The family had originally wanted to build a newbuild Passivhaus but were unable to find a suitable plot nearby. 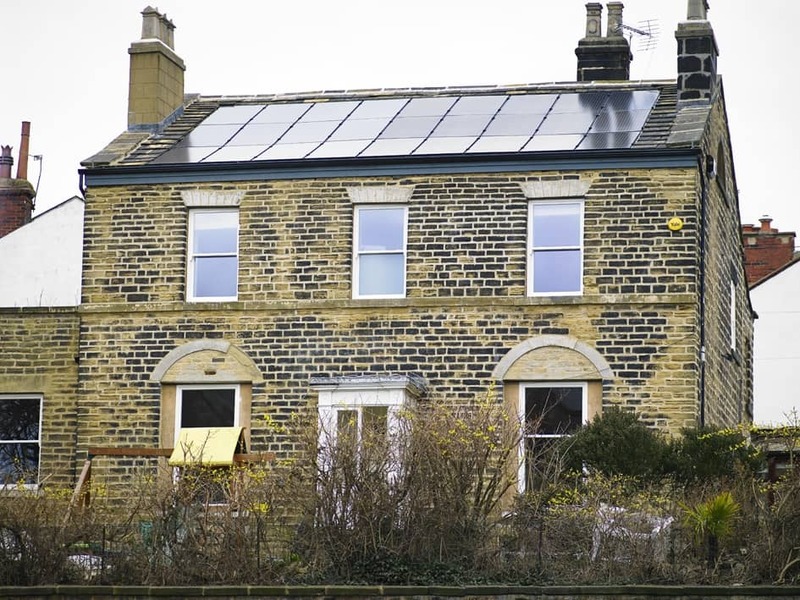 Instead they found a Victorian detached house, which they decided to buy and undertake a ‘2050 retrofit’, enabling the family to be ‘net zero carbon’ and ‘net zero energy’. 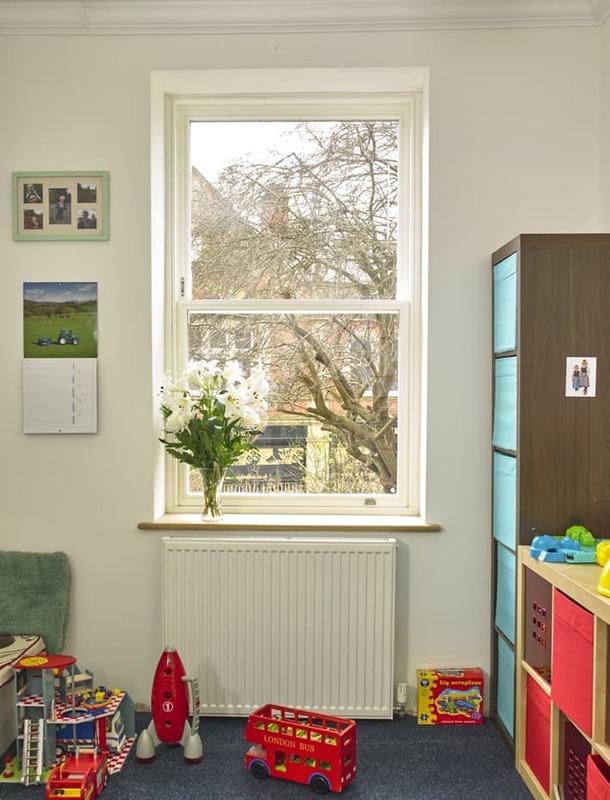 The home was refurbished over a period of four months in 2015 to near Passivhaus standards of insulation and airtightness to deliver year round comfort (thermal, acoustic and air quality). 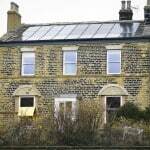 The aim was to have a warm, draught-free home with no cold surfaces and no internal condensation. Nigel modelled the retrofit using a simplified version of PHPP (Passive House Planning Package) and the project is aiming to achieve AECB Silver with the space heating requirement of the building anticipated to be around 40 kWh/m2/year. 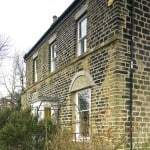 The walls of the house presented the greatest challenge (and opportunity for improvement) as they were responsible for 42% of the house’s original heat loss. 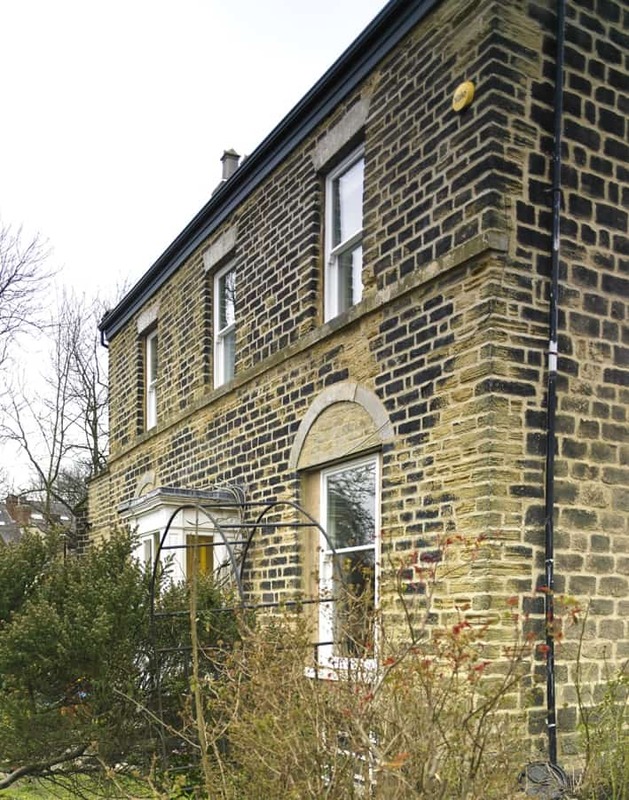 External wall insulation was ruled out for aesthetics and conservation reasons, and there was no cavity, which only left internal wall insulation (IWI) options. With IWI great care is needed to avoid interstitial condensation (water condensing behind the insulation on the now cold wall). 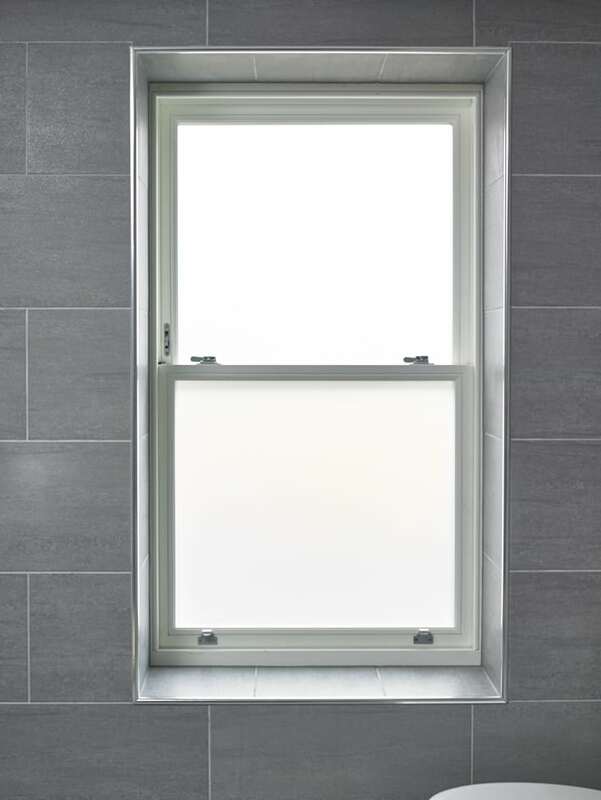 Nigel explored three IWI options, eventually choosing Isover’s Optima ‘moisture open’ system, which has given the walls a U value of 0.185 W/m2K down from 1.6 W/m2K (ie reducing heat loss from the walls by nearly 90%). Insulated plasterboard was also used in the window reveals and partition walls to prevent thermal bridging and maintain continuity of insulation. 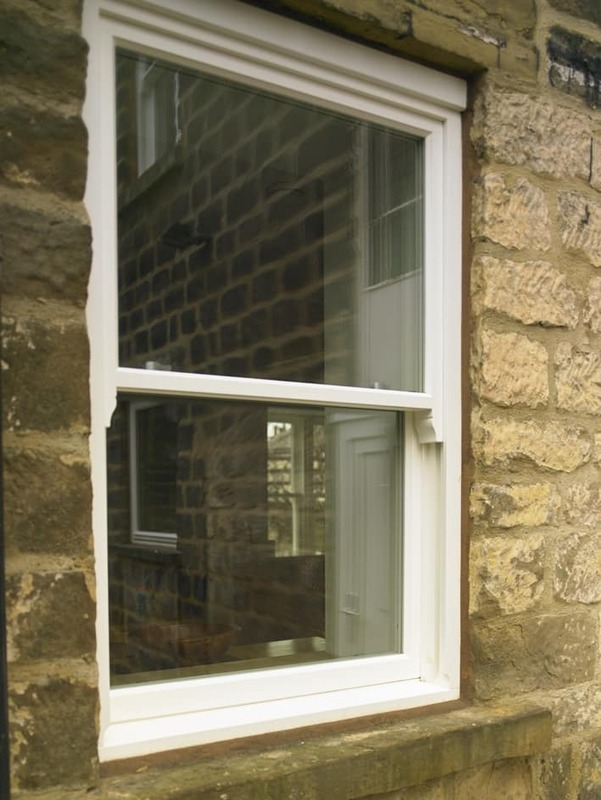 The triple glazed sliding sash windows supplied and fitted by Green Building Store has an overall heat loss (or U value) of 1.0 W/m2K , making them around 5 times as insulating as the single glazed windows they replaced. 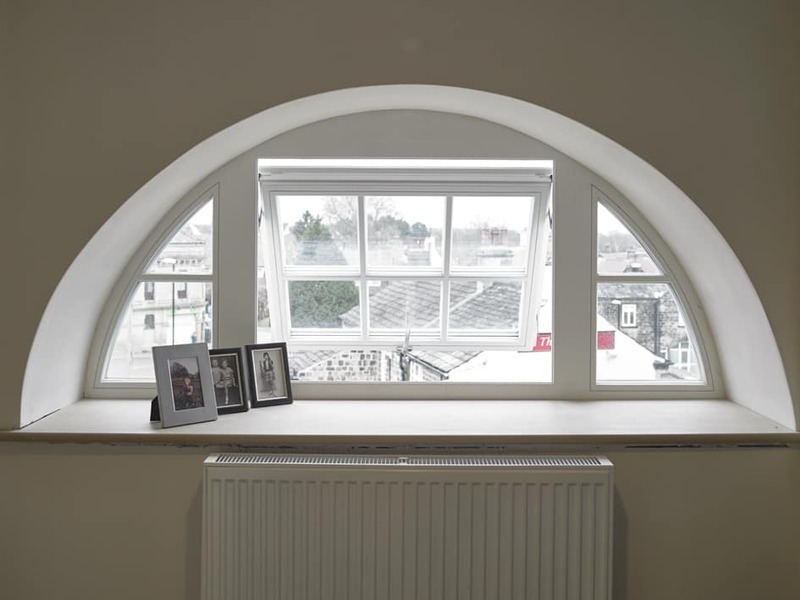 PERFORMANCE entrance doors (Ud 0.9 W/m2K) and PERFORMANCE high performance windows were specified for certain aspects of the project (eg a fixed window behind original stained glass window as ‘secondary glazing’ and two arched windows in the attic rooms). 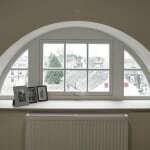 “The windows have made a massive difference to the thermal performance of the house. Before we installed the windows, we had all the IWI and other insulation measures in place and the house was still freezing! 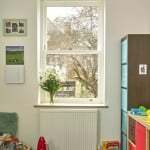 Once the windows were installed and window reveals insulated and finished off, the house was immediately much warmer and more comfortable. 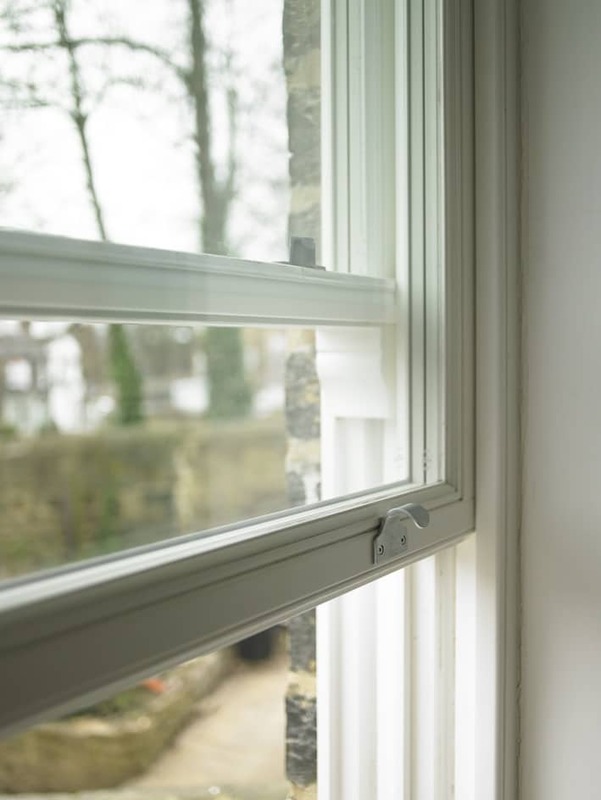 A major benefit of having triple glazed windows is that they don’t get condensation on the inside and the inside pane remains warm to the touch, which also means that you don’t get draughts falling down the glass and into the room. 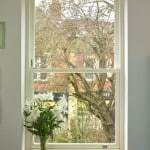 The opening mechanism on the sliding sash windows work well and, despite their massive size, are very easy to open and close. 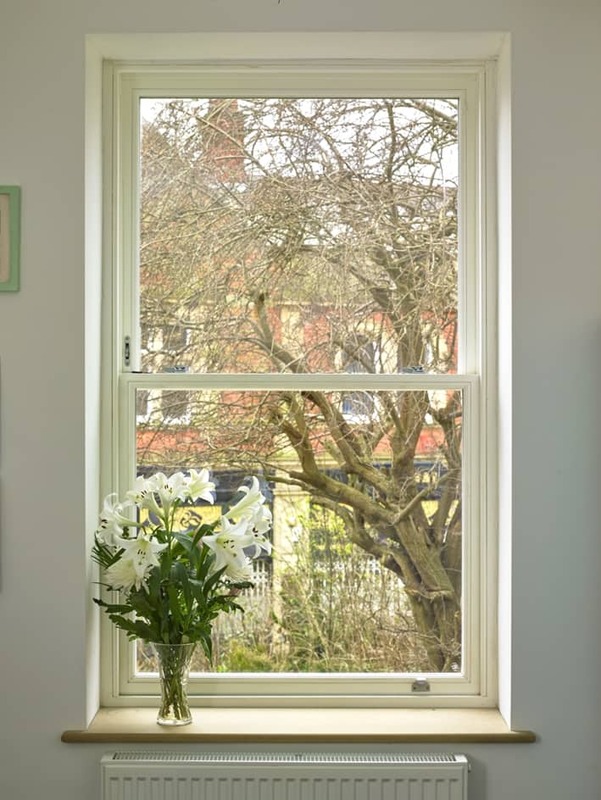 Green Building Store’s fitting team were fantastic and did a great job installing the large sash windows, which weighed 160kg each! Once the fabric first measures were addressed, Nigel looked at ways to reduce energy use further. 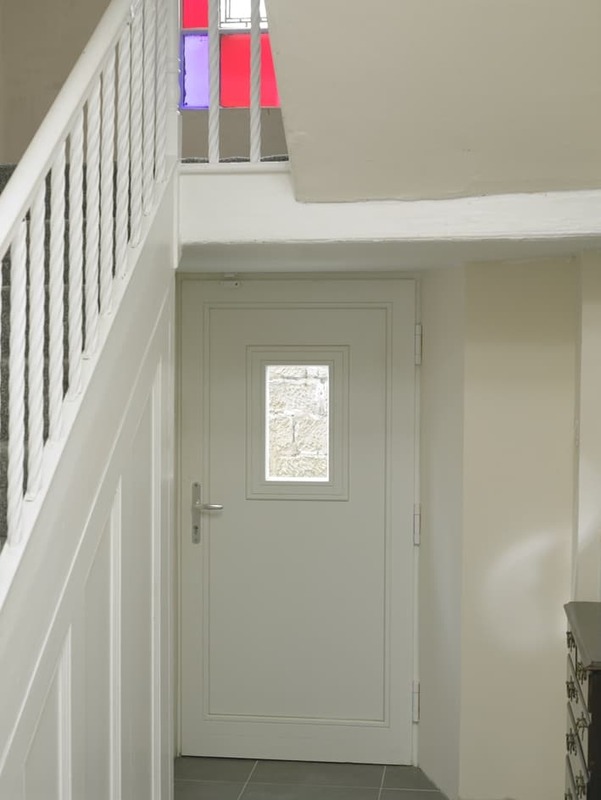 An MVHR system was needed, as airtightness levels had been increased significantly, to provide ventilation and heat recovery. The project also benefits from solar PV panels, LED lighting, wood burning stoves, an air source heat pump and a 20 kWh battery storage system. Since the completion of the retrofit, the house has been performing well and is expected to deliver close to net-zero energy use. 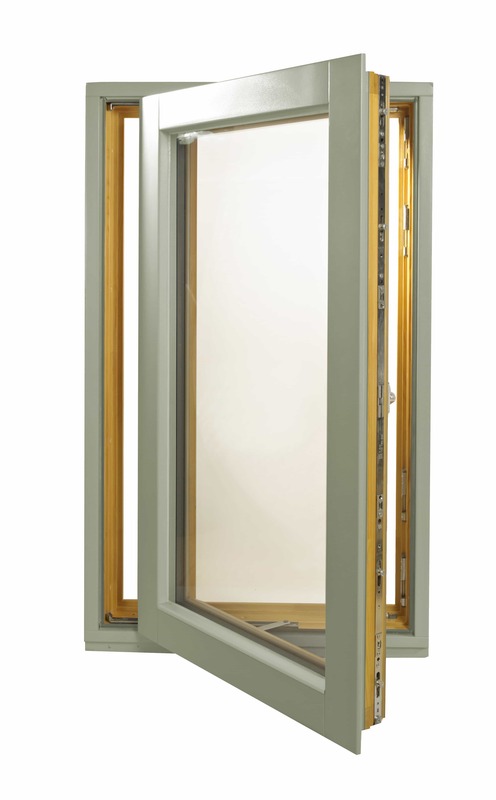 Triple glazed timber outward opening casement window (78mm profile). Cost-effective option. Uw 0.85 W/m2K.